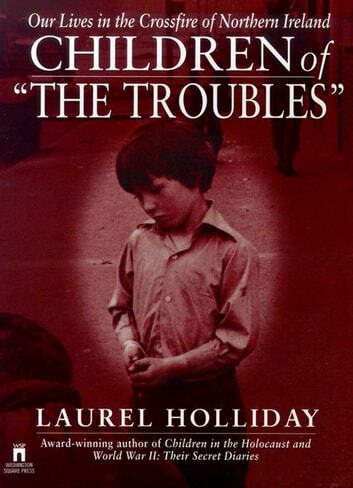 In this remarkable second book in the Children of Conflict series, Laurel Holliday presents a powerful collection of young people's memories of growing up in the midst of the violence in Northern Ireland known as "The Troubles." "All my life I have been afraid. When it would get dark I would lie in bed and be frightened to move in case men would be outside who were going to smash the doors in with a sledge hammer and then shoot whoever is in the house as they have done before." More than sixty Catholic and Protestant children, teenagers, and adults chronicle their coming-of-age experiences in the war zone, from bomb-devastated Belfast to the terrorist-ridden countryside. "It was like my head exploded. It's an experience you can't really understand -- getting shot in the head -- unless it's happened to you. For the first time in thirty years there is some hope for an end to the murders and bombings that have wounded more than 40,000. 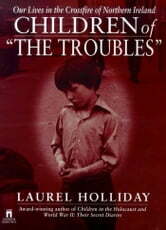 But the ravages of war remain indelibly etched on the minds and souls of the generation known as children of "The Troubles." Stick It Up Your Punter!